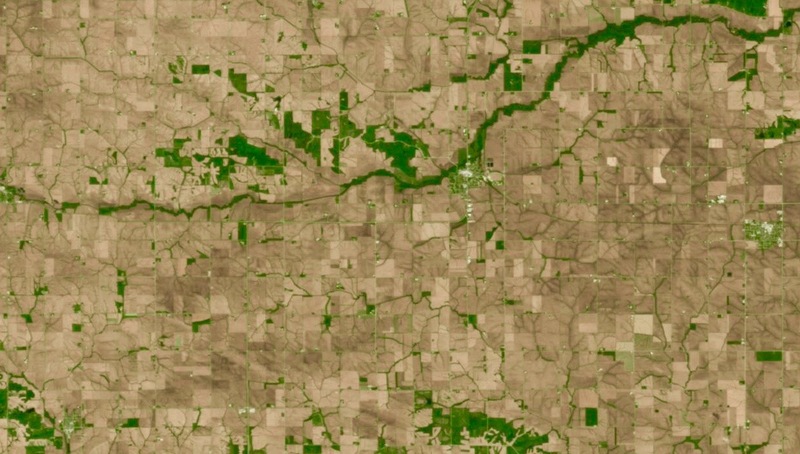 Agriculture is one of the largest industries in the United States and farmers across the country increasingly rely on insights from Earth Observation data to make important decisions about how much water to use or where to apply fertilizer. The workhorse of these data collection efforts has been the 30m USGS Landsat 8 satellite, which provides high-quality imagery every 16 days. If it is not cloudy. 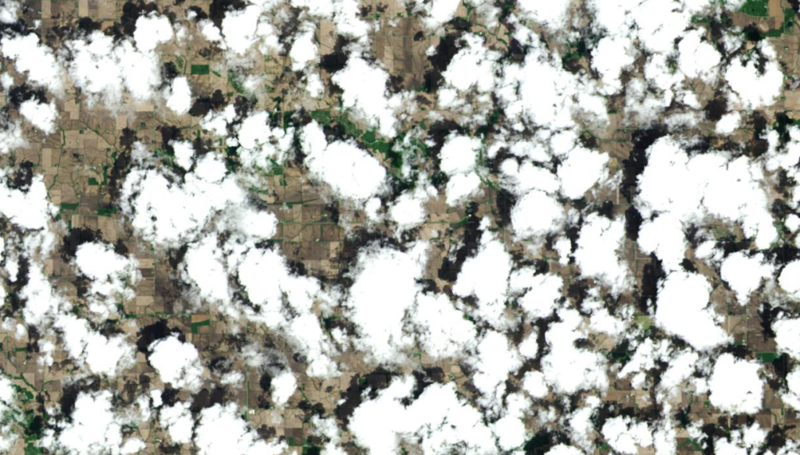 Our Earth is 70% covered in clouds at any given time and, while they are a natural and necessary element of a functioning global ecosystem, they can be an immense barrier for anyone monitoring activity on the ground from space. There is no way to avoid them, so the best strategy is to revisit an area as frequently as possible in order to increase the chance of capturing a cloud-free image. This is where our 22m Deimos-1 satellite and the UrthePlatform come in. Deimos-1, which is currently on a five-year campaign over the contiguous United States for the United States Department of Agriculture (USDA), has an extremely wide swath (650 km) and high revisit rate of 2-3 days. Now, for the first time, that data is flowing directly to the UrthePlatform soon after it is captured and made available for rendering in any mapping application and in GeoTIFF format. So, what does this mean for the farmer, literally, in the field? For someone monitoring a town’s worth of crops in central Iowa, it means getting several high-quality captures only a few days apart, instead of waiting almost two months. 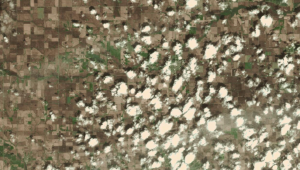 Using the UrthePlatform Earth APIs, builders of ag monitoring applications and analysis tools can easily set up Areas of Interest, monitor for new imagery Events, quickly filter out cloudy imagery by searching the Archive, and instantly visualize it on a map (including in NDVI) or ingest it into a current workflow. 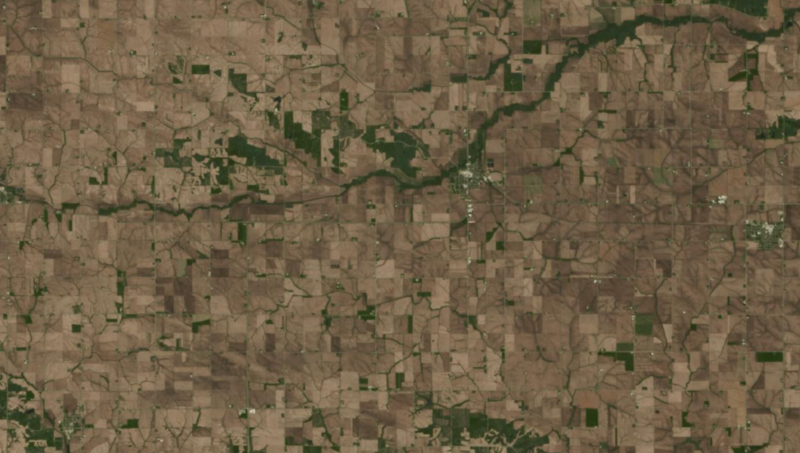 Together, Deimos-1 and Landsat 8 complement each other throughout the growing season to provide both big and small farmers the insights they need to make smarter decisions, use resources more efficiently, and increase the yield of their crops. See more Deimos-1 imagery by creating an UrthePlatform developer account at developers.urthecast.com. By the morning of Friday, May 6, the urban service area of Fort McMurray, Alberta, had been engulfed in a wildfire for four days, resulting in the displacement of over 88,000 residents. That’s when, after speaking with his clients, Dan Plant of Terrabotics called us at his wits’ end. When the Terrabotics Commercial Director and Head of Sales spoke to our Customer Experience (CX) team, it was clear he needed high-quality imagery of Fort Mac, and he needed it immediately.